At the office of Gina B. Pinamonti, DDS, we want to help you “Smile Out Loud!” Since 1998, Dr. Pinamonti and our Smile Out Loud Team have created brilliant, beautiful smiles, going to great lengths to ensure each patient’s experience is truly outstanding. Having a great smile is more than just aesthetic; it’s also good for your health and even better for your confidence. We know that there is no such thing as "one size fits all" when it comes to orthodontic treatment. No matter what age you are or what issue you are experiencing, we will explore all of the available options with you to discover what it takes to achieve a healthy, beautiful smile for you to wear with confidence. 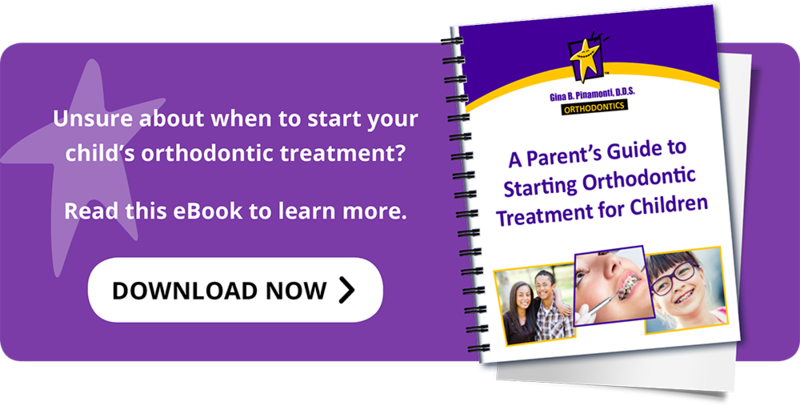 Make the best choice for your family’s orthodontic treatment by scheduling your complimentary orthodontic consultation with Dr. Pinamonti at our Pittsburg Orthodontic Office. No referrals are necessary to be warmly welcomed into the “Smile Out Loud” family.